The charge of making a terroristic threat is a Class D felony under New York law. The charge involves threatening to commit a crime with the intent of intimidating civilians, affecting government conduct or influencing government policy. The inability to actually carry out the alleged threat is not a defense under New York law. So long as the subject of the threat had a reasonable expectation that a crime would be carried out, a conviction can be upheld. If you or someone you love has been charged with this crime, it is imperative that you have dedicated legal counsel. 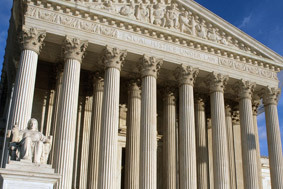 At Goldberg & Allen, we make a thorough defense to all types of criminal accusations. Each of our lawyers brings more than a quarter century of criminal law experience to every case. 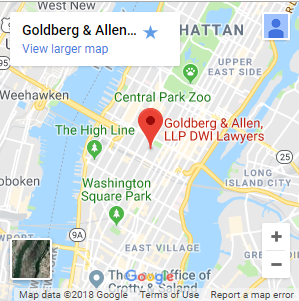 Prior to founding our firm in 1996, attorneys Jay Goldberg and Gerald Allen served in the Kings County District Attorney’s Office. Our many years of prosecutorial experience serve our clients well. To learn how we can assist you, call 212-766-3366. In many cases, terroristic threats charges involve individuals with serious mental or emotional concerns. If someone you love has been charged with this crime, our law firm will work hard to protect his or her rights. We are committed to seeking positive resolutions to difficult situations. Terroristic threats charges can imperil your freedom. Do not take on these charges without an experienced criminal defense attorney at your side. Call our New York City terroristic threats lawyers at 212-766-3366 or email our law firm to schedule your initial consultation.